Line a baking sheet with aluminum foil & lay 12 strips of bacon on it & bake at 400 degrees for 7 minutes. Drain on paper towels & cut each strip in half. 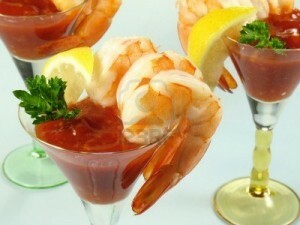 Brush your favorite barbecue sauce on the shrimp & wrap the bacon around the shrimp & secure with a 6-inch skewer. 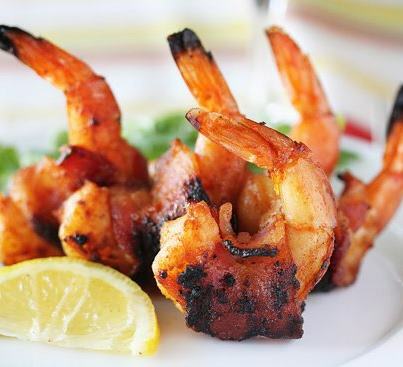 Arrange the skewered shrimp on the baking sheet and bake at 400 degrees for 6 minutes turning once to evenly brown the bacon. Enjoy. Let 1 cup of beer stand open for 2 hours. 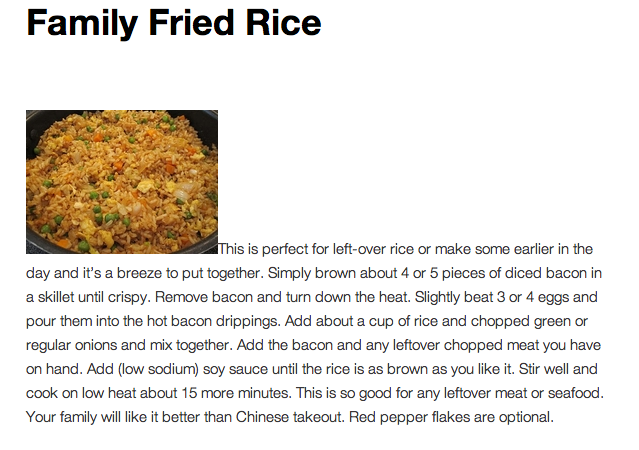 Mix together in a bowl 2 cups of flour & 2 tbsp vegetable oil & seasoning. Fold in 2 egg whites, beaten stiff. 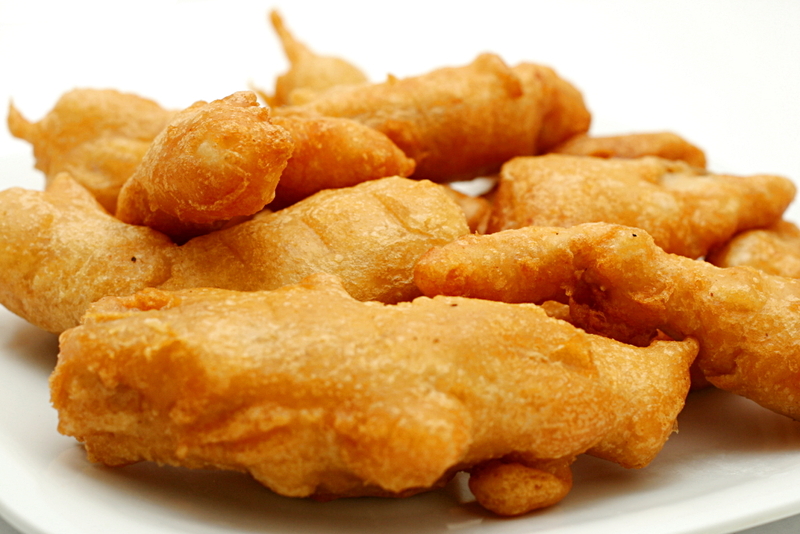 Coat fish fillets & fry until done & golden & crispy. 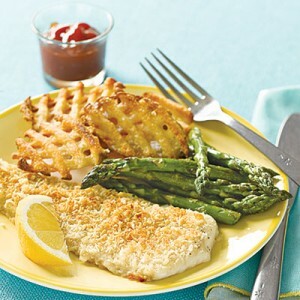 Coat 1 pound of flounder fillets with 1/3 cup of mayonnaise. Dip in 1 cup of seasoned breadcrumbs. Arrange in a baking pan coated with cooking spray & cover with 1/4 cup of grated parmesan cheese. 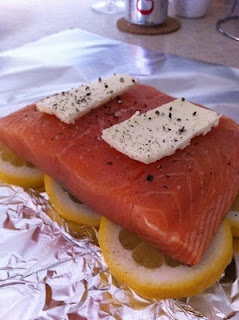 On tinfoil place sliced lemon, salmon, butter & seasonings. Wrap tightly. Bake at 300 degrees for 25 minutes. Melt 3 tbsp of butter in a medium saucepan over medium heat. Whisk in 3 tbsp of all-purpose flour & cook until bubbly (about 3 minutes). Stir in 1 cup of seafood stock & 2 1/2 cups of milk. Bring to a boil, stirring constantly. Remove from the heat & add seasonings (salt, pepper, cilantro, etc). Let it cool. In a large bowl add 2 cups of any seafood, chopped & cooked. 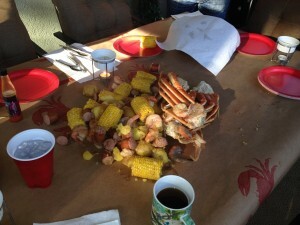 (firm fish, shrimp, crab, lobster, etc.). Whatever you have, whatever you want. Stir in 1/2 cup of the cooled sauce & 1/2 cup of shredded Monterey Jack cheese. 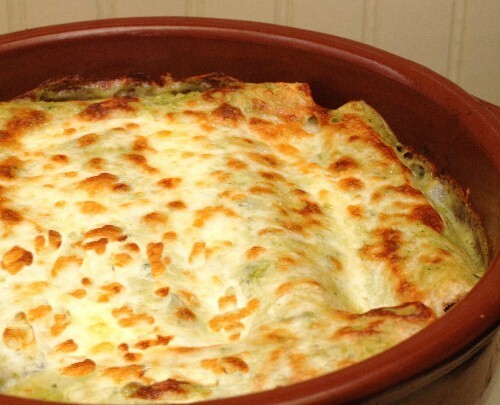 In a 6 inch corn tortilla spread a thin layer of sauce & 4 tbsp of filling down the center. Roll it up & place seam side down in a 9 x 13 inch baking dish coated with cooking spray. Repeat this with 11 more tortillas. Spread the remaining sauce over the top & sprinkle 1 1/2 cups of Monterey Jack cheese over it. Bake at 350 about 40 minutes or until hot & bubbly. This is so simple & delicious. 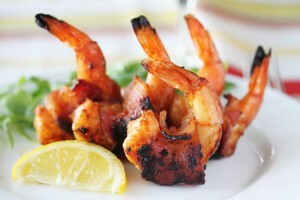 Wrap 18 large shrimp (peeled & deveined) with 18 slices of bacon (that have been cut in half). Heat a frying pan and add 2 tbsp of oil. Add the shrimp & cook about 6 minutes, turning often. Make sure the bacon is crisp. Drain on a paper towel. 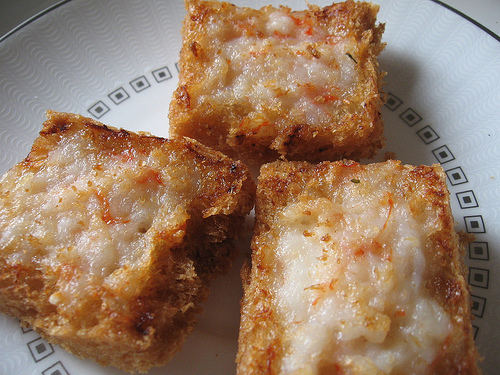 These are great served over a mound of cheese grits.